The Card Reader icon is no longer being displayed in My Computer, what can be done? First check if you can see your Micro SD Card in the "Disk Management". Click on Start > Run > Type diskmgmt.msc and press Enter. "Disk Management" will be opened. 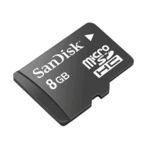 If your Micro SD Card partition exists. Then right-click on that partition > Select the option "Change Drive Letter and Paths". Published by aakai1056. Latest update on July 21, 2012 at 04:09 AM by aakai1056. This document, titled "Card Reader not displayed in My Computer," is available under the Creative Commons license. Any copy, reuse, or modification of the content should be sufficiently credited to CCM (https://ccm.net/). How to fix Active Desktop Recovery error message?